Clear eyes, full heart, can’t lose. According to Deadline, Friday Night Lights star Scott Porter has been cast to play Coach Taylor in an L.A.-based musical of the cancelled NBC series. The Unauthorized Friday Night Lights Musical comes from Sucker Love Productions, the same team behind The Unauthorized Musical Parody Of Cruel Intentions and their most recent endeavor, The Unauthorized O.C. Musical, which debuted in 2015. 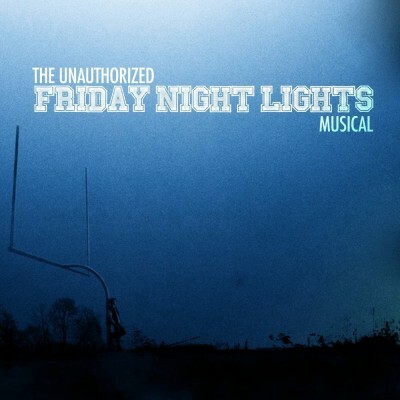 Friday Night Lights ran from 2006 to 2011 and was cancelled after five seasons. Kyle Chandler originated the role of Coach Taylor, for which he won the 2011 Emmy for Outstanding Lead Actor in a Drama Series. The Friday Night Lights show is scheduled to premiere in L.A. sometime in 2016. Scott Porter most recently starred in The CW’s Hart of Dixie, which was cancelled this year after four seasons. What do you think? Are you a Friday Night Lights fan? Would you go see the stage musical starring Scott Porter? More about: Friday Night Lights, Friday Night Lights: canceled or renewed?, NBC TV shows: canceled or renewed? Friday Night Lights: Would Taylor Kitsch Want to Make a Reunion Movie?